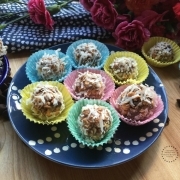 Any latino party requires a yummy dessert, and the Mexican Chocolate Peanut Truffles with Coconut fit the bill for a tasty sweet bite to offer your guests. 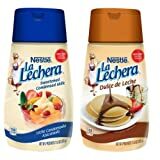 The Mexican Chocolate Peanut Truffles are made with oatmeal, crunchy peanut butter, NESTLÉ® NESQUIK® No Sugar Added Chocolate Flavor Powder, NESTLÉ® LA LECHERA® Sweetened Condensed Milk Squeeze Bottle, unsweetened coconut flakes, cinnamon, and NESTLÉ® TOLL HOUSE® Semi-Sweet Morsels. 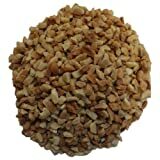 The Mexican Chocolate Peanut Truffles made with oatmeal, crunchy peanut butter, NESTLÉ® Nesquik® No Sugar Added Chocolate Flavor Powder, NESTLÉ® LA LECHERA® Sweetened Condensed Milk Squeeze Bottle, unsweetened coconut flakes, cinnamon, and NESTLÉ® TOLL HOUSE® Semi-Sweet Morsels. 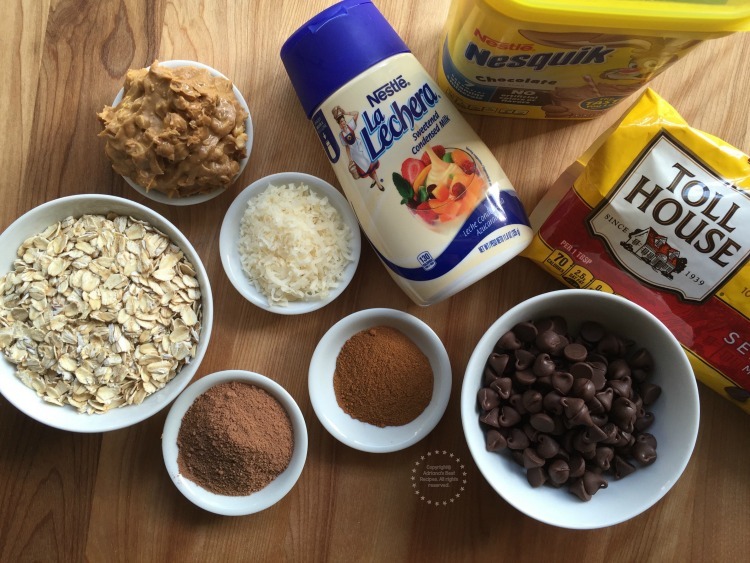 In a bowl combine the oatmeal, the NESTLÉ® Nesquik® No Sugar Added Chocolate Flavor Powder, the cinnamon and two tablespoons of the unsweetened coconut flakes. And stir. Then add the crunchy peanut butter, the NESTLÉ® TOLL HOUSE® Semi-Sweet Morsels and the NESTLÉ® LA LECHERA® Sweetened Condensed Milk Squeeze Bottle. Combine all ingredients until getting a dough consistency. With your hands form small balls and cover them with coconut. The result will be Mexican Chocolate Peanut Truffles. 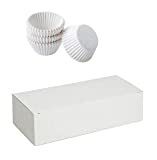 You can use paper liners for serving. This recipe is also great for party favors and gifting gourmet artisanal treats. 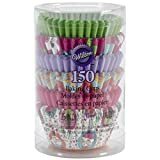 Just place the truffles inside small bags, mason jars or tins and decorate with a bow. This recipe is straightforward, and you can make it the day before to save time. 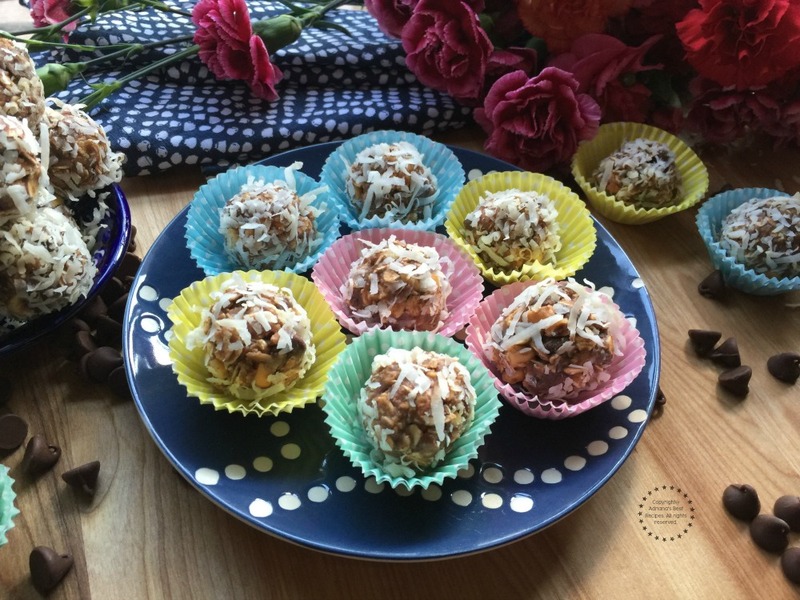 The easy preparation allows for inviting the kids into the kitchen and help to make the Mexican Chocolate Peanut Truffles offered in this Hispanic Heritage party. At home, my mom was used to make chocolate truffles with NESTLÉ® brand products and I have used her original recipe as the inspiration to create this new twist on chocolate truffles. The results are amazing. The chocolate truffles are also perfect for party favors because who doesn’t like to bring home a sweet treat made with love. 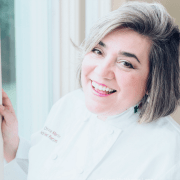 For me, life is all about sweet moments and having a treat that has traditional ingredients incorporating my culture is just the perfect addition to a party that is all about celebrating culture and Latino heritage. These treats you can also serve along with cafe de olla to end the meal with the perfect touch after enjoying delectable Macaroni Chiles Rellenos. All the ingredients for the truffles I purchased at Walmart. 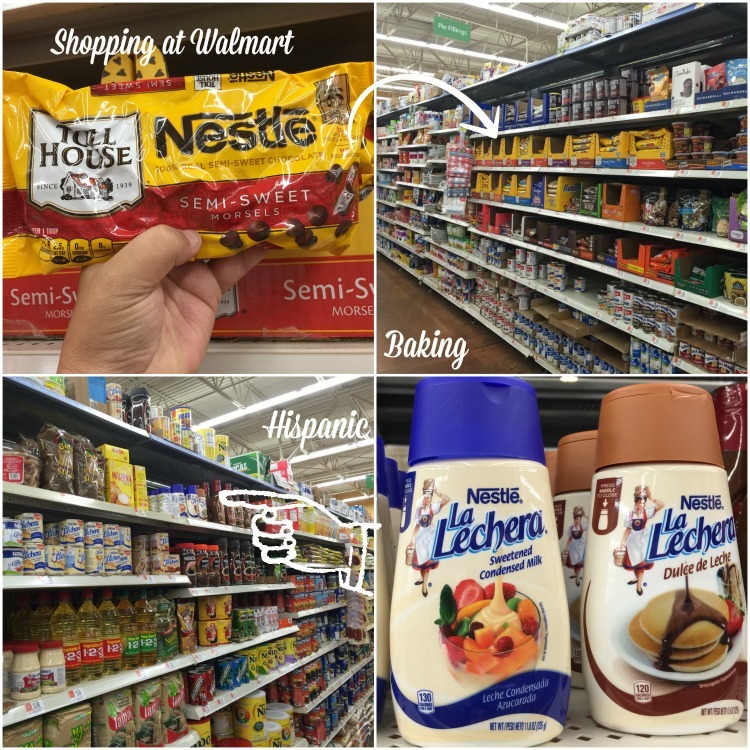 I love that at Walmart I can find all my favorite ingredients as well as many of the NESTLÉ® brand products I grew up with in Mexico. 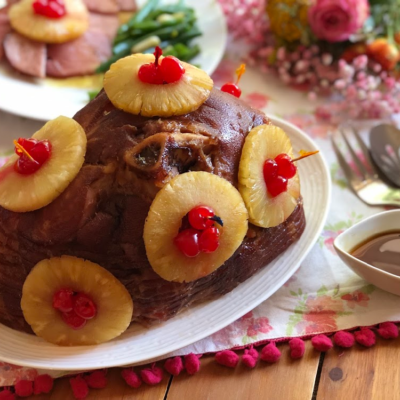 Because life is made of sweet memories and many of my family recipes bring back so many beautiful moments we lived together. 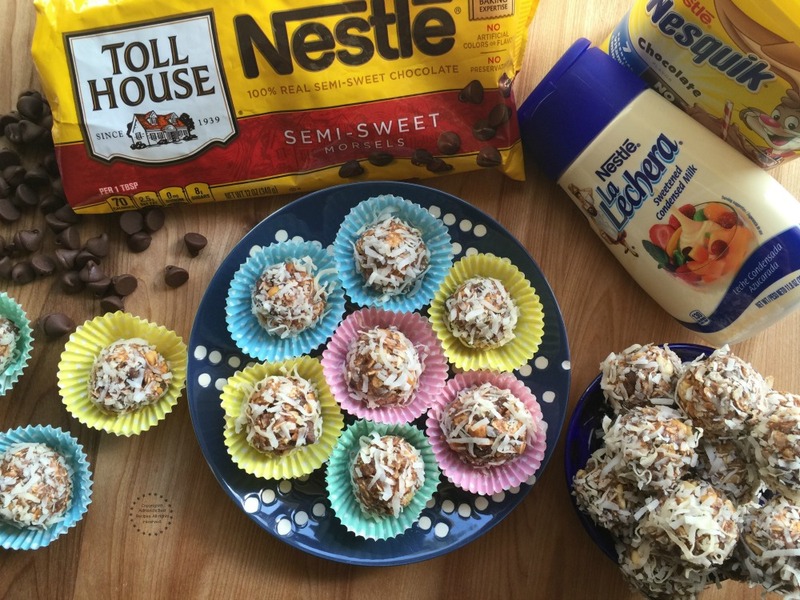 Look for more recipe ideas and inspiration at NESTLÉ® Flavorful Moments Pinterest board! 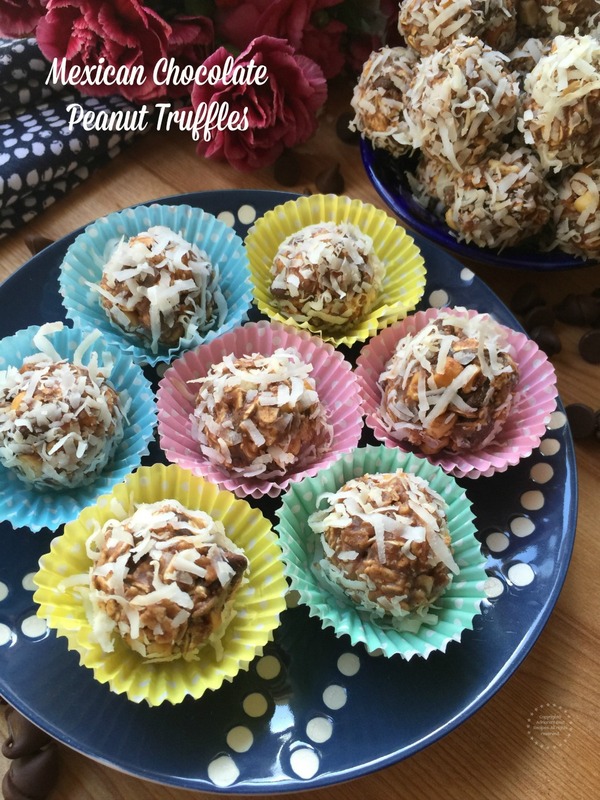 I love the combination of chocolate and peanut butter and I love coconut so all three together must be delicious! I’ve seen the cans of La Lechera, but never the bottles, unless I just didn’t realize what it was. How convenient when you don’t need the whole can. The truffles look delicious. I love Mexican chocolate! Plus peanut butter? Count me in! Looking very good, and yummy! 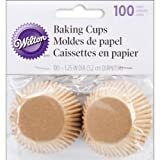 I’ve PDF’ed the recipe for my quick dessert toolkit. It will come in handy. These Mexican Chocolate Peanut Truffles look really mouthwatering. 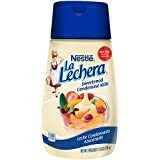 I’m a huge fan of Nestlé La Lechera sweetened condensed milk. I sometimes eat it by spoonfuls. These look so delicious and super easy! I’m definitely going to try these soon! I have everything but the La Lechera! 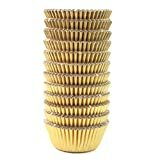 I’ve seen it in the stores but have never used it! These look amazing! Too bad that I can’t have peanut butter, but I could sure use these at my upcoming holiday parties. I could live vicariously through others. The pictures look awesome as well! Thanks for sharing. You can replace peanut butter with almond butter or other nut butter like cashew that doesn’t contain peanuts so that you can enjoy them too. 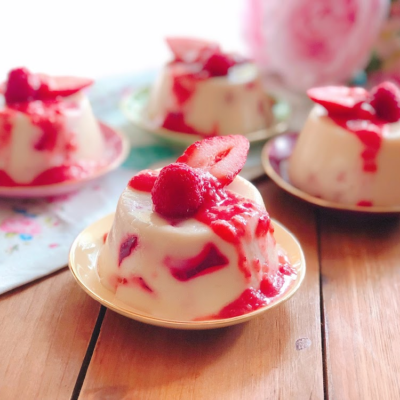 These sound absolutely delicious–the kind of treat that I might end up eating all that I made before the guests arrive. They would also be great to give as a hostess gift. 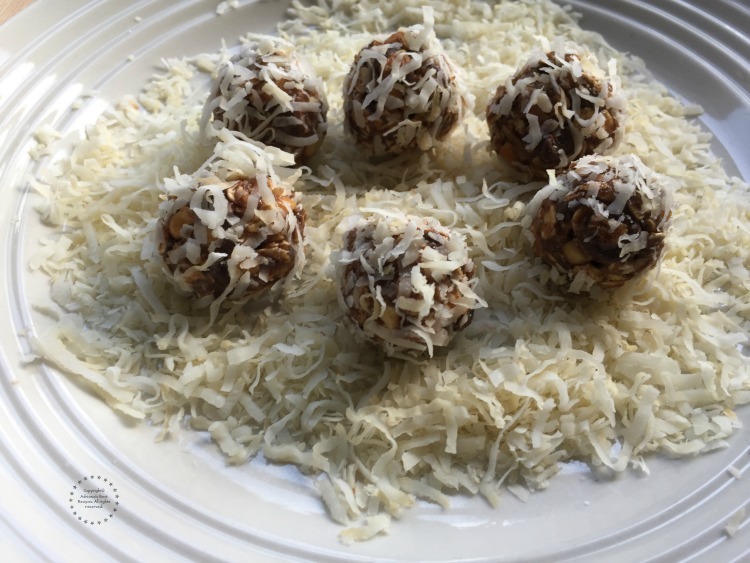 These truffles are the perfect balance of what I like in a treat; coconut and chocolate.